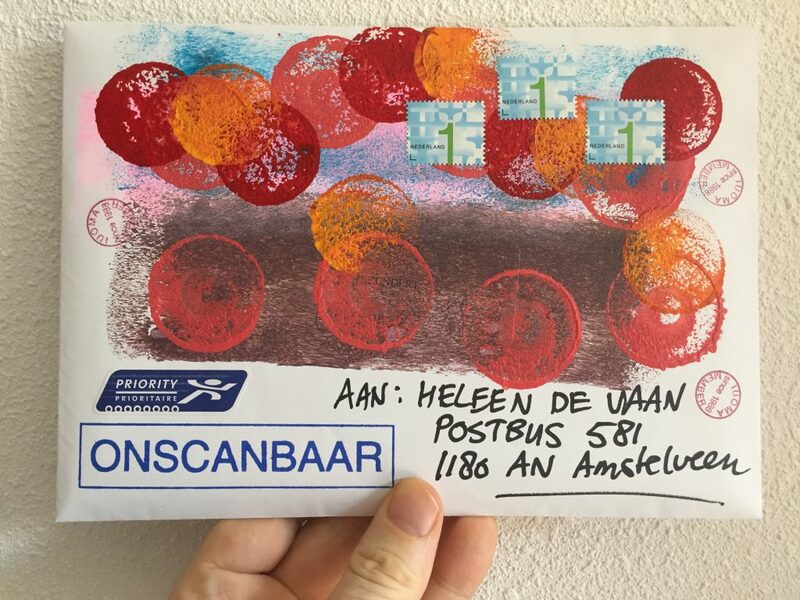 Outgoing to Heleen – 2019 – iuoma.org – Interested in Mail-Art? Outgoing enveloppe to Heleen de vaan in the Netherlands. Inside another envelope that the Postal Office returned because they flipped the envelope over and found the return address. So a second attempt to get this to Amstelveen. Hope it works this time.